Put all ingredients in a blending machine. Breakfast soy milk, tofu, banana and cinnamon smoothie. 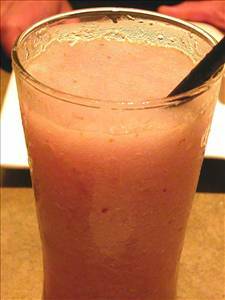 There are 343 calories in 1 serving of Mixed Fruit Smoothie. Calorie break-down: 14% fat, 65% carbs, 20% protein.